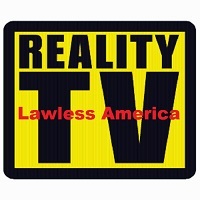 New Reality TV Show - Lawless America - Now in Discussions! 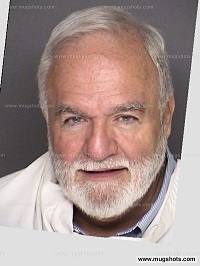 Bill Windsor has been approached by a reality TV producer about making Lawless America a reality TV show. It's funny how things happen. I attended a trade show years ago and felt it was a huge waste of my time and money to fly there and spend two days at the show. I felt that I saw and heard nothing that would help my business. But as it turned out, two random encounters in the aisles of that publishing industry trade show had a huge impact on our business. Well, in 2013, I went to Utah to try to help get a woman out of a mental institution where she was being held to try to silence her from exposing family court corruption in the Church of Latter Day Saints. After Connie got out of the looney bin, I posted online that I would film anyone in Salt Lake City who wanted to be filmed. A little blonde lady, a singer, came to tell the story of elder abuse and corruption involving her sweet grandmother. We became fast friends and stayed in touch. Several weeks ago, she sent me a message saying she had a friend who was a reality TV producer who was interested in talking with me. I prepared a synposis and some other information, sent it off, and forgot about it. Then today, I received a message setting up a meeting for Friday. I met with the CEO of a major motion picture company in Los Angeles after the filming for Lawless America in Hawaii. His company produced a major box office hit with Ryan Gosling. The CEO told me Lawless America needed to be a television series! From his lips to God's ears. Lawless America seems tailor-made for a reality show. You know, "America's Most Wanted" was one of the first reality shows. "Candid Camera" was the very first American reality TV show; it first aired in 1948. Soon after "Candid Camera," "Wanted" was introduced as the second reality television show. "Wanted" discussed crimes and criminals and included interviews with victims families as well as public authorities that worked on the crime cases. While it only lasted for one year, it inspired the hit television series, "America’s Most Wanted," which began airing in 1988. Documentary-style is one of the primary reality show genres. In many reality television programs, camera shooting and footage editing give the viewer the impression that they are passive observers following people going about their daily personal and professional activities. A subgenre of reality television is "reality legal programming." These are programs that center on real-life legal matters. Another subgenre is law enforcement documentaries. Law enforcement documentaries are programs that capture police officers on duty. These shows tend to be shocking in nature as they consist of individuals caught in real-life criminal acts and circumstances, as well as confrontations with police officers. The most successful installment of this subgenre is "Cops." Lawless America fits right smack dab in the middle of one of the major genres. It focuses on real-life legal matters. Unlike "America's Most Wanted," the stories are about INjustice, wrongful convictions, and cases where the real crooks are at large because they were never prosecuted. Instead of showing the shocking things that police encounter, it will show the shocking things that law enforcement officers do. Lawless America will feature stories from people who say they are victims of lawlessness and injustice in America. I discovered corruption with federal judges in Georgia. I took my case to the U.S. Supreme Court where the justices responded “we refuse” when asked to tell the federal judges in Georgia that they had to abide by the Constitution. This generated significant Internet publicity, and within weeks, over 10,000 people had contacted me wanting to share their stories. This caused me to begin producing an online radio show, and that spawned the idea for a documentary film. The Lawless America Project planned to film one victim in each state, but by the time a commitment came in from a person to be filmed in the 50th state, over 300 people had signed up to tell their stories. When the road trip began on June 14, 2012, over 750 people were committed to be filmed. More and more people showed up at each scheduled stop, and over 1,000 victims were filmed in the 241-day road trip. In total, over 7,000 emailed, called, or showed up asking to be filmed. 51,000 became Facebook Friends of Lawless America. 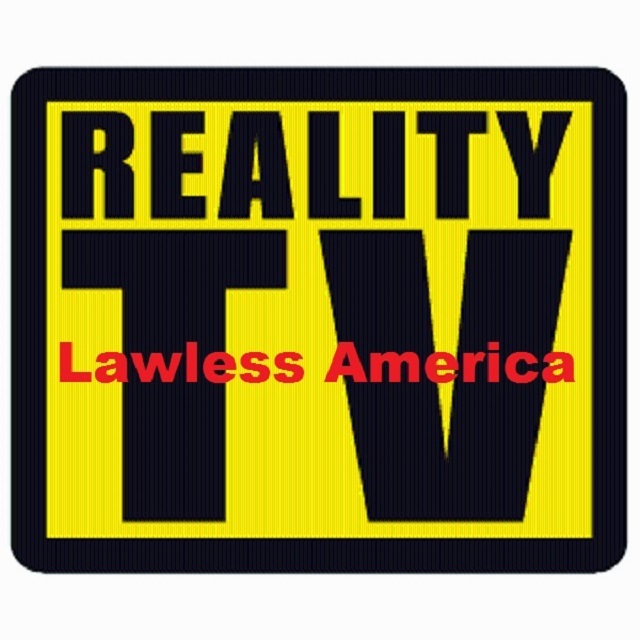 I was approached with the idea of producing and hosting a weekly television show about “Lawless America.” I have the content and the contacts to do a daily show. I have 1,500 hours of high-definition motion picture-format video "in the can." This reality show will be as real as it gets with people’s lives torn apart by dishonesty and corruption. My propopsal is to feature three stories per one-hour show. We have over $200,000 invested in two nationwide trips. I have something like 16 terrabytes of high-definition movie film shot with a Canon XF-300 and Sennheiser wireless microphones. I was also equipped with high definition cameras in a cap, reading glasses, and watch. If anyone has ever questioned the story of a person who has expressed the view that they were a victim of the government or of judges, Lawless America will prove that the odds are that the corruption report was true. In fact, there are probably tens of millions of victims in the United States who never realized what happened to them. There aren't many people in America who haven't been touched by legal, judicial, and law enforcement dishonesty and INjustice. We no longer have laws that are enforced because judges do whatever they want to do. America has also become lawless because government officials are dishonest and/or corrupt. Lawless America exposes injustice and corruption in every state. Lawless America focuses on victims. Corrupt judges and corrupt government officials and law enforcement officials are exposed, and a number of the crooks are confronted. The content is especially timely today due to the extensive news coverage of law enforcement wrongdoing. Lawless America will be more than a TV show; it’s news, because the mainstream media usually hides the injustice and corruption from the public. Another reality of Lawless America is that it affects real people, all types of people from all walks of life. I have filmed victims from all aspects of judicial corruption and government corruption: Children and Families, Criminal, Civil, Guardianship, Probate Court, Attorneys, Divorce Court, Foreclosure, Financial and Corporate, Law Enforcement, Voter Fraud, Military, Government Corruption, and more. Lawless America presents an incredible cross-section of people! The victims include old and young, a variety of races and ethnic origins, cowboys and Indians, good guys and bad guys, employed and unemployed, working and retired, activists and pacifists, incarcerated and free, women and men, husbands and wives, married and divorced, mothers and fathers, grandmothers and grandfathers, children and grandchildren, alive and deceased, able and disabled, poor and rich, honest and dishonest. Occupations of people filmed include authors, business owners, psychologists, healthcare administrators, a tennis pro, ministers, meatcutter, tattoo illustrator, attorneys, disbarred attorneys, judges, retired judges, nurses, doctors, graphic designers, motion picture producers, concert promoters, literary manager, medical assistants, machinists, ink chemist, forensic scientist, electricians, CEO of a computer company, advocates, private investigators, a bounty hunter, candidates for elected office, house cleaners, retired military personnel, customer service agents, software architects, educators, ranch owner, accountants, private law enforcement agents, former secret service agent, contractors, students, journalists, government employees, mortgage bankers, health and fitness professionals, beauty shop owners, foster care manager, electronics repairman, legal assistants, paralegals, marketing professionals, salespeople, administrative assistants, singers, songwriters, dentists, energy consultant, medical marijuana providers, appliance repairmen, compliance officers, bankers, artists, human resources specialists, engineers, hearing aid consultant, real estate investors, school police officer, actors, actresses, respiratory therapist, environmental research scientist, journalists, refugees, CEO of media company, truck drivers, insurance adjuster, elder advocates, documentalist, elected officials, emergency medical technicians, teamsters, university parking enforcement officer, crime investigators, grant writer for medical research, property manager, international airline captain, foundation directors, landlords, Domino's Pizza driver, debt collectors, bus drivers, caregivers, mineral consultant, jewelry designer, municipal research consultant, computer technicians, legal researchers, coaches, martial arts instructor, transportation coordinator, real estate agents, lab technicians, cartographer, director of medical research agency, deli manager, esthetician, farmers, land developers, physical therapists, occupational therapist, multimedia design consultant, dental hygienist, Alaskan Malamute breeder, construction workers, information technician for the FCC, microcap stock trader, interior decorator, accounts payable clerk, entrepreneurs, hospitality manager, garage door contractor, firefighters, beauty pageant winner, homebuilder, AutoCad operator, campground owner, psychotherapist, housekeeper, biotech business development representative, automobile painter, home remodeler, school administrators, civil engineering assistant, data processor, politicians, loan officers, salvage diver, prosecuting attorneys, database administrator, steamfitter, designers, massage therapist, direct mail sales representative, real estate appraiser, television production specialist, musicians, corporate CEOs, and a jack of all trades. Some of these people aren’t victims. Some think they are victims, and aren’t. Others know they aren’t victims but used the filming to try to get back at an ex-spouse or someone else. "America’s Most Wanted" tells stories of people who have not been apprehended. Lawless America tells stories of people wrongfully convicted, people who have committed crimes and legal wrongdoing and need to be apprehended, but who were never prosecuted or held accountable for their illegal actions. Many of these are powerful stories. I have over 1,000 short video interviews at www.YouTube.com/lawlessamerica. I envision continuing to travel to film the back stories for the best interviews, to bring them to life on screen. I am divorced and am available to travel full-time filming and working on the show. I was a radio and television announcer in high school and college. My father, Walter M. Windsor, was one of the broadcast pioneers; he spent 50 years in television station management. My grandfather was a producer of vaudeville shows. I spent approximately 20 years of my career as a magazine publisher and President or CEO of magazine publishing groups. So, I come to the project with some experience, and no one has ever met face-to-face with so many potential TV stars -- the victims. I receive hundreds of messages each month from people wanting to tell their stories, so my supply of material is never-ending. The reality of this project is that people have tried all types of things to stop me. My life has been threatened many times; I have been shot at; I have been accused of all sorts of crimes; and I was kept in jail as a political prisoner for 134 days, now charged with five ridiculous crimes. My family became so scared that my wife divorced me, and my children have cut off contact. While sad for me, it adds another layer to the project. I wrote a few days ago that my greatest hope was that I would be able to travel full-time meeting people, filming their stories, filling YouTube, and producing additional films. This would do it. 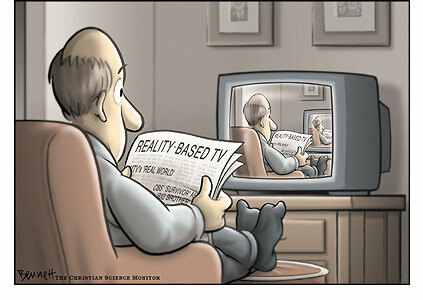 And, a reality TV show could reach a lot of people, which has been the goal of Lawless America since 2011. There have been some bizarre reality TV shows. "Born in the Wild" documented couples who choose to give birth to a baby in the ‘great outdoors’ without any sort of modern medicine. "Are You Hot? The Search for America’s Sexiest People" consisted of scantily-clad people walking onstage and being physically judged by Lorenzo Lamas and friends. "Vanilla Ice Goes Amish" followed the 90’s rapper as he moved into an Amish settlement to learn their ancient art of furniture making. "Who’s Your Daddy" involved an adopted girl who spent time trying to figure out which one of eight men was her real father. If she guessed correctly, she won $100,000. If she chose a fake father, the guy she chose would win the money. The production team stressed that they would still be reunited with their dad. It only aired one episode and received a storm of criticism, mainly because of the exploitation of adopted children. "Bikini Barbershop" featured exactly what you would think, a barbershop where most of the stylists are girls in bathing suits. "Playing it Straight" was a British dating show where half of the contestants were gay, and the girl had to pick send home the ones she thought weren’t straight. If the guy she picked in the end was in fact into women, they split the prize money. If he wasn’t, he took home the whole prize. "Sperm Race" was a German show where men ‘donated’ sperm and then watched as their swimmer raced each other to an egg. Doctors confirmed the ‘winner’ and the guy with the fastest sperm won a Porsche. This really happened. While some of these might have been interesting for one episode, Lawless America is REAL, and it certainly has the potential to be like "America's Most Wanted." It started in 1987 and has had over 1,000 episodes aired. Fingers crossed. This needs to happen. Image courtesy of Nashville Scene.